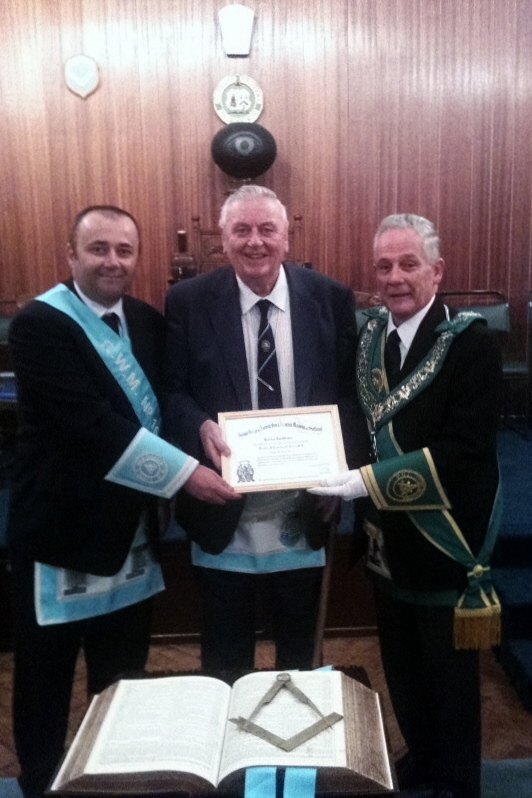 The picture below shows Brother William Nolan being presented with his 50 Years Jubilee Certificate from Bro. Stuart Gillies RWM. in Lodge St. John Falkirk No 16 in the presence of the RWPGM. Bro. Andrew A. McKinnon on Tuesday 27th September 2011. Brother Bill with RWPGM Brother Andrew McKinnon and the Master of Lodge St John Stuart Gillies.